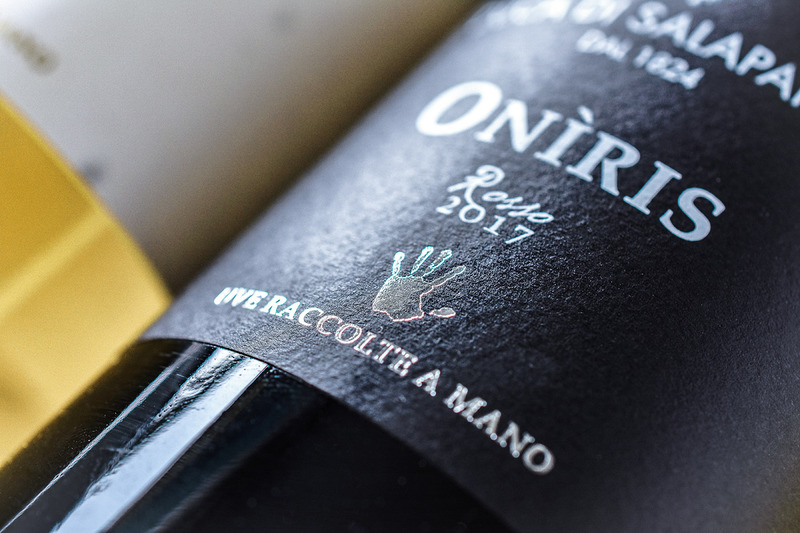 ONIRIS is a new product from the range of Duca di Salaparuta, born from the ashes of the IRMANA wines. 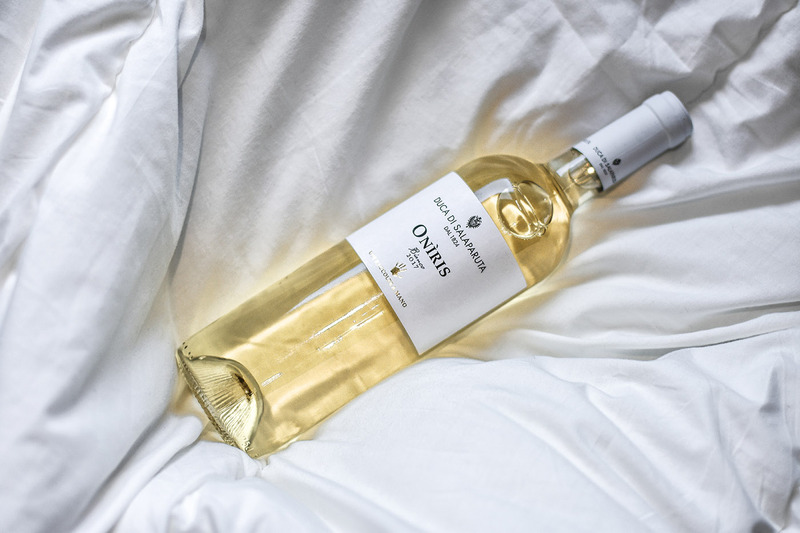 IRMANA is an aromatic wine of the brand Corvo, the younger brother of Duca di Salaparuta Company, a Sicilian winery with a long history and tradition. 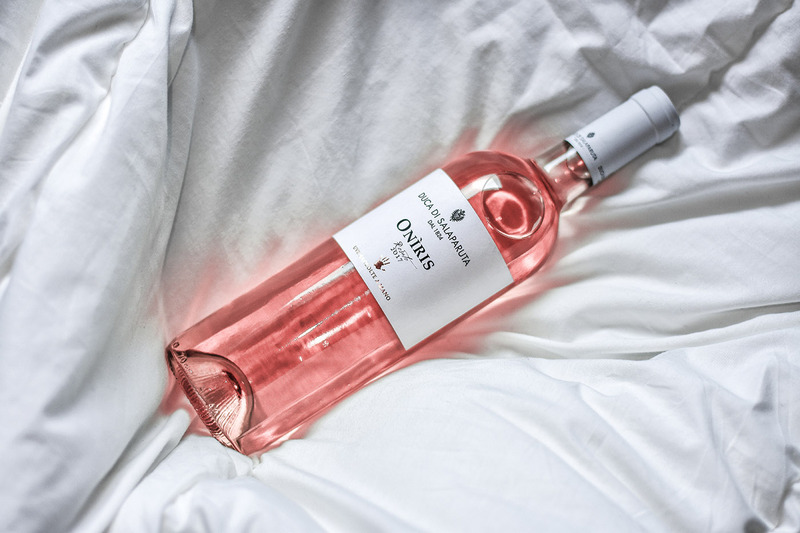 The wine is positioned in the low range, and is focused on the concept of naturalness, with a label printed on recycled paper and a long marketing text that explains its natural productive characteristics. 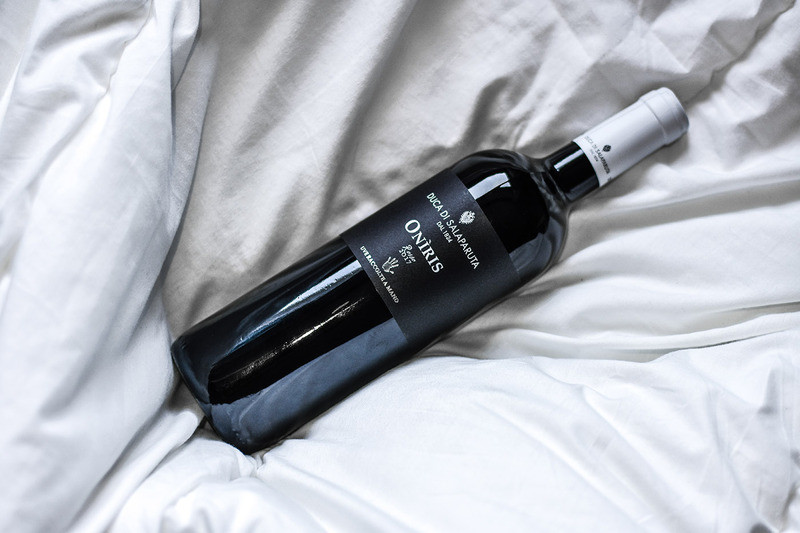 The company has decided to raise the product and bring it into the Duca di Salaparuta family. 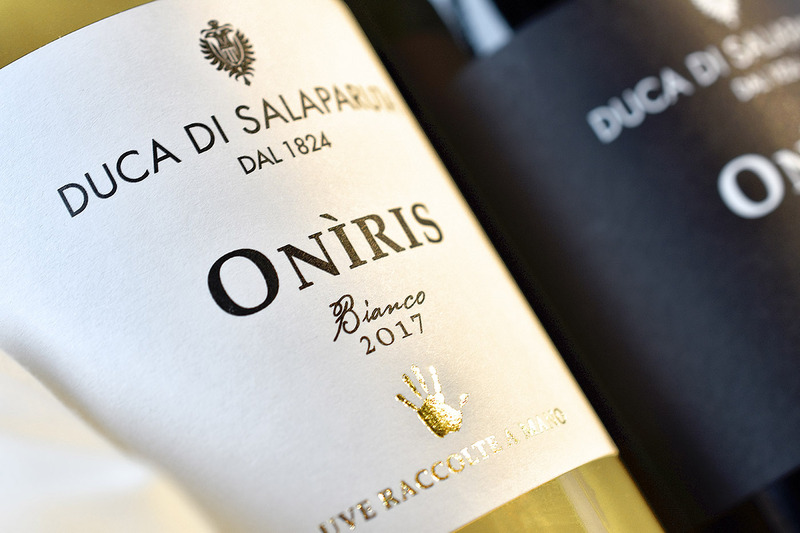 This is why we needed a restyling that would maintain the concept of naturalness, but, using the color codes and weights of Duca di Salaparuta, to make it consistent with the other bottles of the brand. 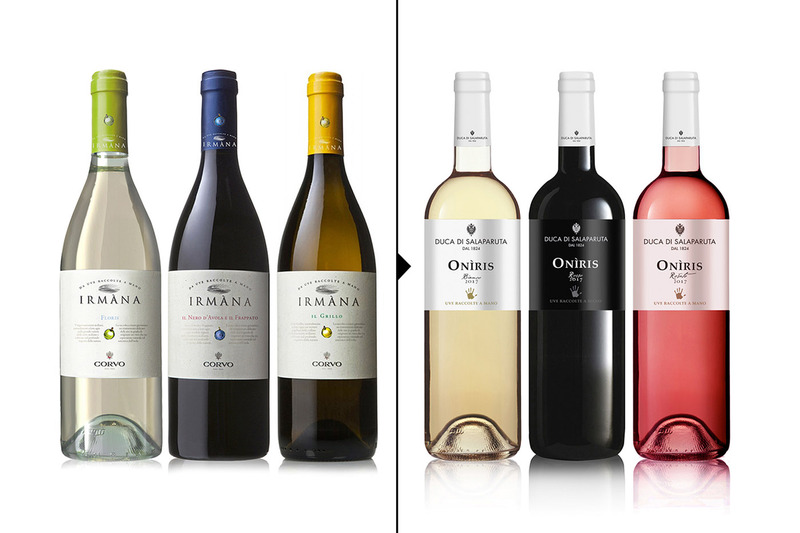 First step was to translate everything in black and white, colors more related to the cellar, the second to change the glass: from a borgognotta to a bordolese: this allowed me to raise the branding, positioning the label higher. 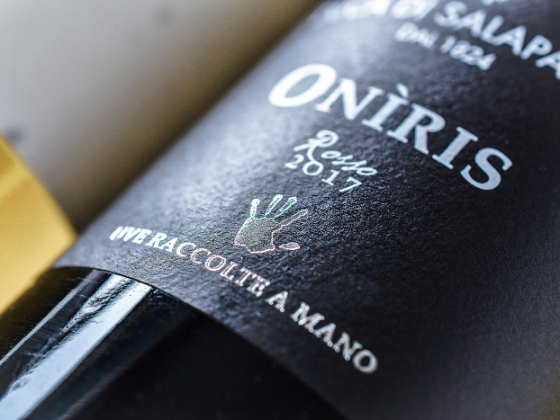 For the label I decided to focus on the concept of "hand-picked grapes", representing it using an hand imprint as a symbol of the range. 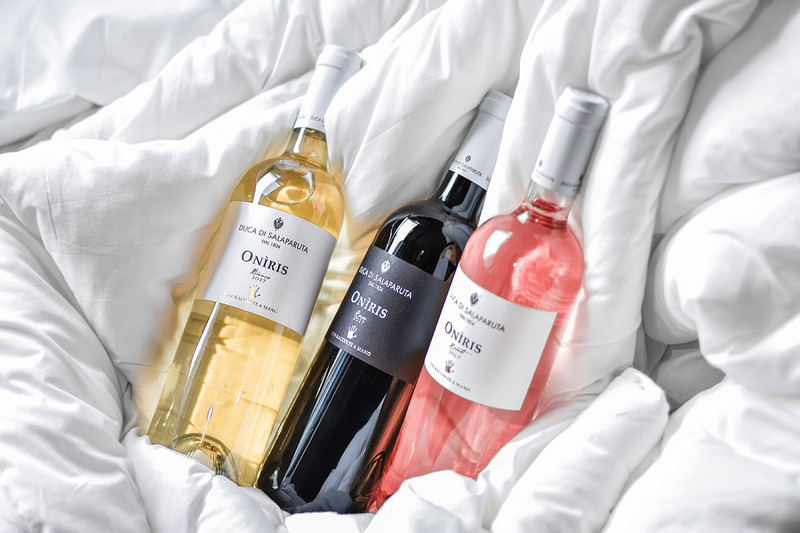 The result is the transition from a cheap pack to a packaging that: while maintaining at first glance the elegance and refinement typical of the cellar, could also describes the craft values ​​that wants to express the wine.